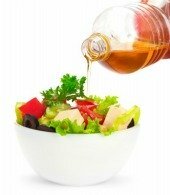 Breast cancer prevention strategies include being physically active and using extra virgin olive oil in your daily meals. Although there are risk factors that you can’t really avoid such as aging and genetic makeup, its prevention can still be done. Awareness of its causes is the first important health decision you can make. Remember that the disease kills. What steps can you do to protect your breasts? 1. Avoid or limit alcoholic drinks. Try not to drink regardless if it’s beer or wine. A higher risk for hormone-related cancers is one of the negative effects of alcoholic drinks. If you come from a family with a history of breast cancer, you are more prone to it. To fully protect yourself involves complete avoidance of alcohol. If you can't totally avoid it, limit your consumption to 1 drink a day. 2. 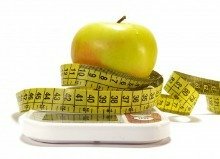 Lose weight or maintain a normal weight. Experts have long discovered the link between hormone-related cancers and obesity. Gaining a lot of weight when you are older or after menopause leads to increased production of estrogen. Too much of the estrogen hormone increases your risk for breast cancer and prevention steps include losing weight if you are overweight. Try to stay within the normal weight range for your age and height as much as possible. Moving greatly helps in ensuring the health of your breasts. One of the benefits of regular physical exercise is weight gain prevention. Any form of exercise which includes walking, jogging and aerobics helps in losing and maintaining the right weight. Being active is also one of the effective stress relief tips. It's important that you manage stress because being overstressed may make you gain weight and increase the levels of cortisol hormone in your body. Chronic stress is experienced by more young women today which explains the increased number of invasive breast tumor cases. If you prefer eating foods high in saturated fats, you will experience unhealthy weight gain. Invasive types are diagnosed more often among women who eat a mostly high-fat diet. A nutrition prevention tip: Try the foods in the Mediterranean diet such as fresh green vegetables and extra virgin olive oil. According to a study in the Journal of Carcinogenesis, one of the health benefits of extra virgin olive oil is it can protect you from the disease because it has oleic acid. To fully benefit from it, 3 tablespoons a day is recommended so reach for it and mix as salad dressing or use it in preparing your dishes. 5. Avoid unnecessary exposure to estrogen. Estrogen stimulates the growth of normal and cancerous cells increasing risk for breast cancer and prevention includes discontinuing hormone replacement therapy or HRT if you are on it. If you are being treated with hormones to manage menopausal symptoms, talk to your doctor and discuss other options that do not include estrogen. I had been to my gynecologist and had an ultrasound to check my uterus and ovaries because I have been experiencing menopausal symptoms recently. My doctor laid out to me my options including HRT which, of course, I refused. If you must be on hormone replacement therapy, choose the lowest dosage as much as possible and make sure you will be on it only for a short time and only if absolutely necessary. Fruits and vegetables grown organically are free of pesticides. Organic foods are better because they are safer to eat. The molecular structure of some pesticides used in growing fruits and vegetables are very similar to the molecular structure of estrogen. The pesticide residues you take in from foods may attach to estrogen receptor sites in your body.This increases risk for breast cancer and prevention is possible when you choose organic foods. 7. Use antibiotics with caution. Experts have recently discovered a link between long-term antibiotic use and breast cancer. Prevention involves taking antibiotics only if it is absolutely necessary and upon the prescription of your doctor. Important reminder: The link between breast tumors and antibiotics still needs further research. But it is alright to be vigilant because cure has never been better than prevention. 8. Boost your immune system. A healthy immune system helps in prevention of tumor growth. Your immune system has killer cells that can block abnormal cells from growing out of control. Some people have strong immune system and some don't. If you're one of those who don't, then it's time to take control. Help your immune system become healthy with natural supplements like Ganoderma extract. Meditation can also enhance your immune system. It helps the natural killer cells of your immune system to fight off bacteria, viruses and cancerous cells. Play some music while meditating. In fact, Olivia Newton-John used music to aid her healing when she was diagnosed with the disease. I have found a site - Royalty Free Meditation Music - where you can buy and download healing meditation music. Also, don't eat too much sweets, don't drink too much and don't stay under the sun for long hours without any protection. Your immune system will thank you if you don't. 9. Be proactive with the health of your breasts. Examine your breasts regularly for any unusual changes such as lumps. If you are 40 or older, get a mammogram. have been treated with radiation therapy when you were between 10 to 30 years old. However, be aware that a lump is not one of the inflammatory breast cancer symptoms. 10. Stop using antiperspirant roll-ons or sprays made with chemicals. Antiperspirants are made with any or combination of chemicals such as phtalates, aluminum salts, triclosan, synthetic alcohols and parabens. Yes, they protect you from odor but they do so by controlling how your body cools itself and releases toxins. The aluminum salts in the antiperspirant bottle you use stop the sweat glands in your underarms to do their job. In 2009, a study that found a connection between tumor growth in the breasts and the use of chemicals such as aluminum salts and phtalates in the underarm part has been published in the Journal of the Breast Cancer Research. If you're concerned with body odor, choose a 100% natural and chemical-free deodorant. Do all these 10 steps in breast cancer prevention to ensure the health of your breasts.